ALTHOUGH WE’RE SEEING RECORD HIGH TEMPERATURES ACROSS THE NATION THIS CHRISTMAS WEEK, THAT’S SURE TO CHANGE COME JANUARY AND FEBRUARY. THE LATEST EDITION OF AN ANNUAL USDA STUDY SHOWS SOME OF THE ECONOMIC AND POPULATION TRENDS FOUND IN RURAL AMERICA. SANDRA BAKER OF SUMNER COUNTY WAS EXCITED TO WIN THE STATE FAIR GRAND CHAMPION COUNTRY HAM FOR CHRISTMAS. AT THE FARM BUREAU CONVENTION HELD EARLY IN DECEMBER JOSEY MILLER FROM LOUDON COUNTY WAS NAMED THE YOUNG FARMER AND RANCHER OUTSTANDING YOUNG WOMAN. IS THERE AN ARDENT GARDENER ON YOUR GIFT LIST? IF SO, THIS REPORT MAY HELP YOU FIND JUST THE RIGHT LAST MINUTE GIFT. 32 YEAR OLD ROBERT ELLIOTT OF ROBERTSON COUNTY WAS RECENTLY ELECTED TO SERVE AS CHAIRMAN OF TN’S YOUNG FARMER AND RANCHERS’ STATE COMMITTEE. 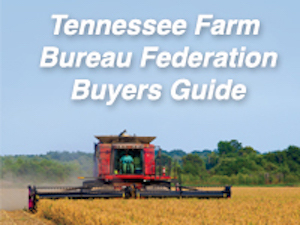 NEW LEADERSHIP SELECTED TO FOR THE TENNESSEE FARM BUREAU FEDERATION. WASHINGTON COUNTY FARMER JEFF AIKEN WAS SELECTED BY VOTING DELEGATES AS THE 8TH PRESIDENT OF THE TENNESSEE FARM BUREAU FEDERATION. PRESIDENT LACY UPCHURCH PRESIDES OVER HIS FINAL ANNUAL MEETING OF THE TENNESSEE FARM BUREAU FEDERATION IN FRANKLIN. AS 2015 WINDS DOWN, USDA ANALYSTS HAVE A BETTER IDEA OF JUST WHAT KIND OF INCOME FARMERS WILL HAVE GENERATED. TIME IS RUNNING SHORT FOR CONGRESS TO PASS TAX PROVISIONS IMPORTANT TO AGRICULTURE BEFORE THE END OF THIS SESSION. THERE ARE MANY FIRST ASSOCIATED WITH THE US CAPITOL CHRISTMAS TREE HAILING FROM THE STATE CALLED “THE LAST FRONTIER” – ALASKA. AS CHRISTMAS REALLY GETS INTO FULL SWING, DON’T FORGET THE BEST GIFT MIGHT JUST COME FROM A LOCAL FARM NEAR YOU THIS YEAR. 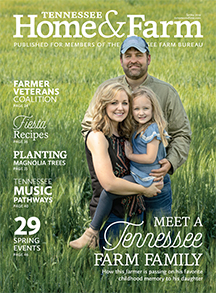 JIMMY AND LYDIA MCALISTER OF GREENE COUNTY HAVE BEEN NAMED THE TENN. FARM BUREAU’S EXCELLENCE IN AGRICULTURE WINNERS FOR 2015. 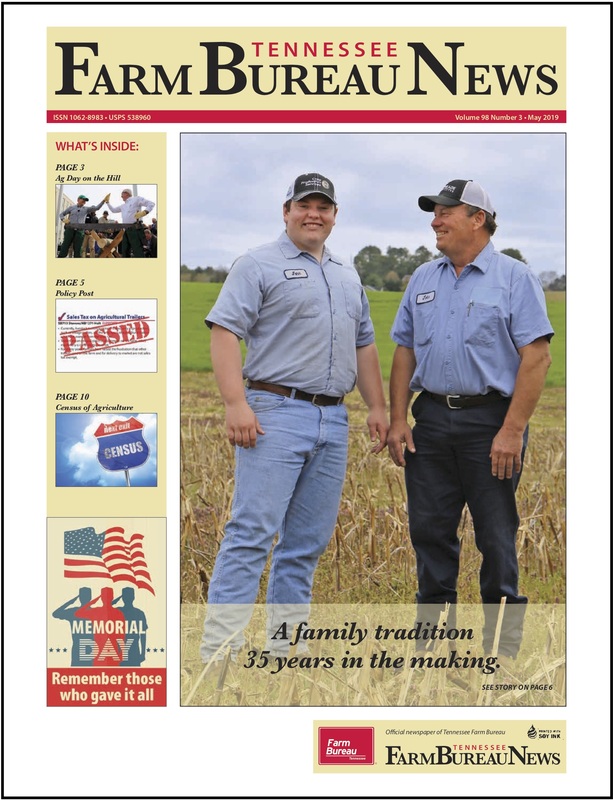 THE 2015 HARVEST SEASON IS GOING STRONG NOW ALL ACROSS THE STATE AS FARMERS REAP THE REWARDS OF THEIR EFFORTS. WHAT CAN YOU DO, AS A DRIVER, TO AVOID AN ACCIDENT WITH FARM EQUIPMENT MOVING ON THE SAME ROADWAY AS YOU? Farm equipment-vehicle accidents have increased in recent years. But farmers can do their part to avoid these collisions by using safety tips. THE SHEEP EVENTS AT THE STATE FAIR. AND THE NUMBERS REFLECT THE FACT THAT THERE ARE MORE FOLKS GETTING BACK INTO THE SHEEP BUSINESS. With more than one million undocumented farm workers, agriculture needs labor reform that provides a quality workforce. TENNESSEE LAWMAKERS BATTLE IN THE 2015 LEGISLATIVE LIVESTOCK SHOWDOWN AT THE STATE FAIR. KIDS LEARNING ALL ABOUT THE FARM THIS WEEK AT THE TENNESSEE VALLEY FAIR IN KNOXVILLE. IT’S FARM DAY COORDINATED BY THE UT EXTENSION SERVICE.